Today my first born turned 4! I can hardly believe it! It seems like she was born just a few months ago. Now she is ready to be learning to read and write. Soon our homeschooling will look a little more 'official' with some sit-down, hands on learning in addition to our 'learning through play' approach. 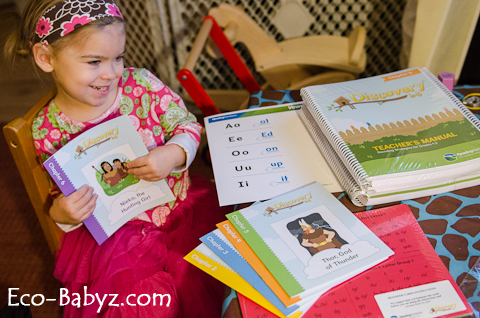 To aid in that, we were very fortunate to be one of several homeschooling bloggers to test the new Reading Horizons Discovery At-Home k-3 program (as well as the original Reading Horizons Intensive Phonics that we gave away back in August). Reading Horizons is a program that until now, has mostly been used in institutional settings to teach larger groups of children to read. It is especially designed to help those that struggle with reading, such as dyslexic learners. This season they are launching the new Discovery At-Home program for parents to use with their children either for homeschooling or as a supplement for struggling readers who need a little more help than school can offer them. We will tell you how Reading Horizons works as a superior reading program and why it may be something to consider for your child. Ease of Use: Since we are new to homeschooling and teaching reading, I do not have much to compare to when it comes to reading programs. But I have to say that with Reading Horizons I have pretty high standards now that I'm not sure other programs would be able to live up to! As a mom of two with an active 14 month old, I need a program that I can sit down with alongside my toddler without any prep time and jump right in. This is something that we were able to do with Discovery At-Home, after just a couple of first lessons testing the waters, I already knew my way around the material. The color coded instruction manuals, transfer cards, and books are like a map that makes it easier to find your way around. There is another aspect to Discovery At-Home that I really appreciate, that's the absence of distractions. I have seen and skimmed through many other reading programs both online and in print. I was turned off by the screaming colorful pictures, animated letters, and generally a lot of fluff. Reading Horizons is different because at it's core, it is a very strong and solid program built upon the Orton-Gillingham approach. In short, it encompasses the visual, auditory, and kinesthetic teaching/learning styles yielding a well-rounded that will pretty much work for any child. I love that it is simple, visually appealing, but not in a fun-for-toddlers kind of way. It can be used with an illiterate adult just as well as with a child. Support: Here is another thing we love about Reading Horizons - you have an amazing support system behind you. First of all, it's important for the parent to understand how Reading Horizons Discovery At-Home works to implement it successfully. They have you covered with a free support system of parent training, webinars, and online reading assessments. Their Facebook page is another great tool to connect you with the company. They also provide an online resource center for you to use to schedule lessons and track progress. I've attended a webinar and it was extremely helpful in getting us started with this program, it's a must for any parent wishing to help their child learn to read fluently and independently. I also enjoy their newsletters, they are always full of relevant information about teaching, learning, and the program itself. You can also check out their free E-Book, Help Your Child Become a Successful Reader. 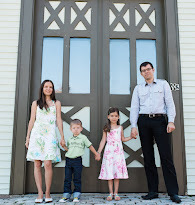 Results: My 4 year old is bilingual, fluent in Russian and knowing her way around English pretty well. 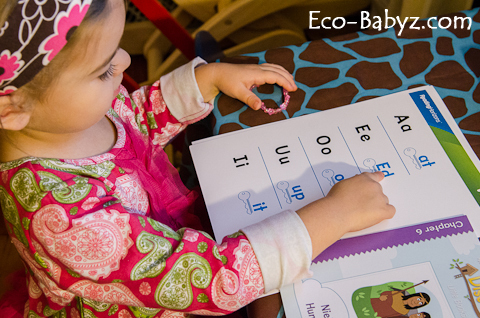 It is important for us to help her preserve our native language. We have been finding our way through Reading Horizons Discovery At-Home a little more slowly than the average learner would be. She also just turned four (today! ), so we are not in a rush to teach her to read and want it to come at a time when she is really ready and eager. We love that we can complete lessons at our own pace, for us that's the beauty of homeschooling. What really surprised me is that how little instruction time she needs to really grasp a concept with Discovery At-Home. We make the most progress when she requests 'learning to read' herself, not when I tell her we have to. When you invest just a little bit of one-on-one time with your children, the results can be amazing. She is a long way away from reading on her own, but it brings a smile to my face when she can read some words - and not just because she memorizes how they look, even when you move them around and ask her to place the right letter on the end of the word to complete it - it just works. 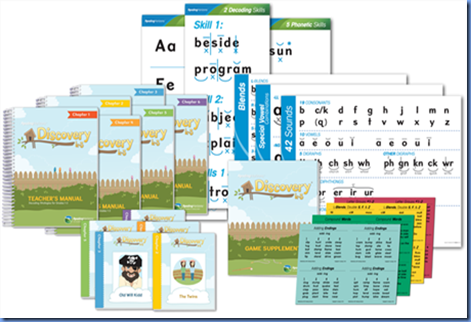 Discovery At-Home really dissects reading into bite size pieces that are small enough for little learners to digest. I'm really looking forward to continuing with this program over the next year to see where it takes us. Value: The package we received, Discovery Instructor Materials, retails for $299. The online interactive software (that we haven't tried yet) is $199. A bundle of both would be $439. There is also a 3 time payment plan option for the online software for $66.34 x 3. 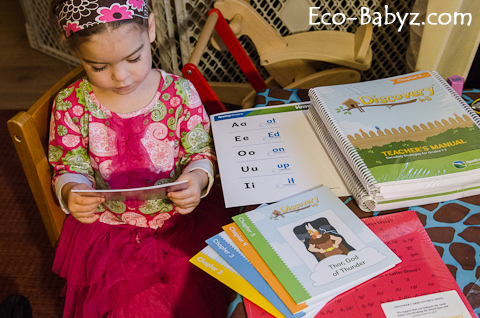 The Kindergarten Little Books (that we received) are $29.99, and the grades 1 through 3 Little Books are $159.99. 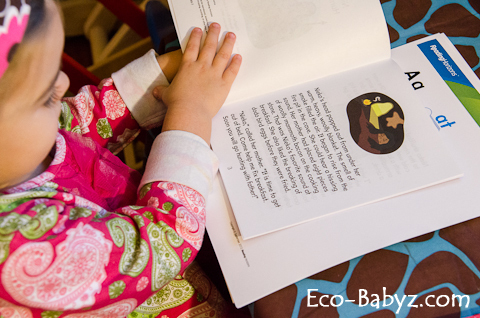 You can do without the Little Books, but they are my daughter's favorite part actually, because she gets to see what she learned in action when we read together. The Reading Horizons Discovery At-Home pricing may seem a little steep, and I do think it is. It is comparable to their school use program. But you have to consider that this program a) really works, just read the testimonials, b) it is non-consumable, so it can be used with all of your children, c) it is an all-in-one program that takes care of grammar, spelling, handwriting, and phonics - essentially a complete four year language arts program. You are getting a lot for your money, as you can see. One of you will win the Discovery Software and Material Instructor Bundle valued at $439 and 10 of you will win the Discovery Online Software valued at $199 each! That's $2,429 in prizes! The tweet is way too long so I had to make a bunch of changes for it to go through. It worked fine yesterday so you must have edited it. Just fyi. I can continue to edit it and hopefully you'll still count it.